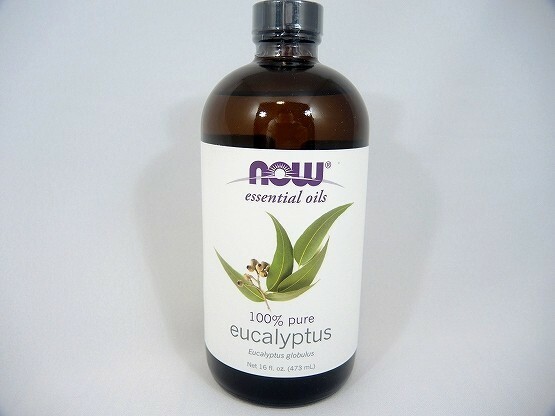 メーカーHP Now Foods, Essential Oil 100% Pure Eucalyptus 16fl.oz. 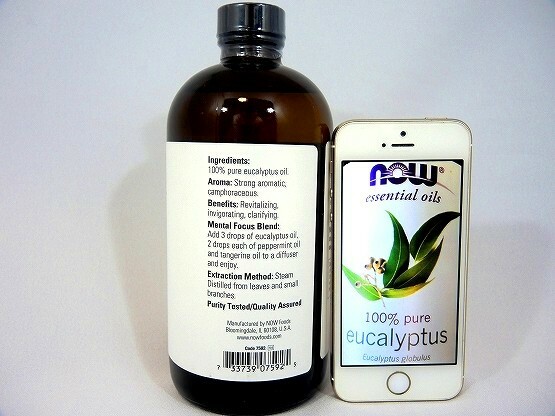 Ingredients: 100% pure eucalyptus oil. 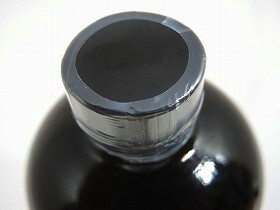 Suggested Use: For aromatherapy use. 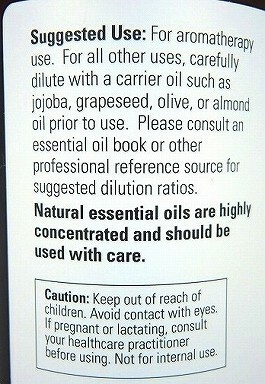 For all other uses, carefully dilute with a carrier oil such as jojoba, grapeseed, olive or almond oil prior to use. 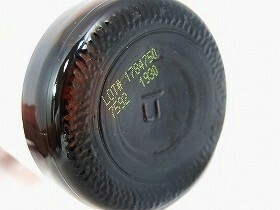 If pregnant or lactating, consult your healthcare practitioner before using. Not for internal use. 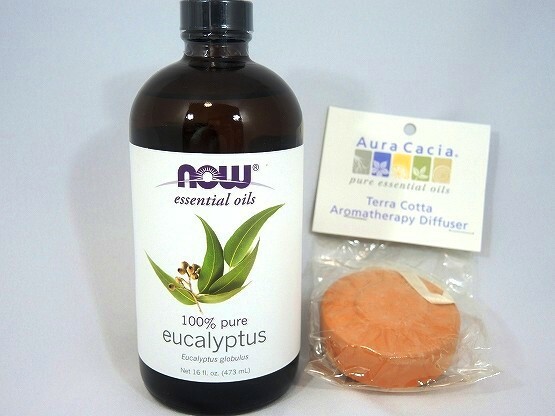 Now Foods, Essential Oil 100% Pure Eucalyptus 16fl.oz.